I’ve been back from my work trip to New York for a week – it’s taken me that long to (sort of) recover. One of the things I found most interesting about Manhattan was the impact it has on people. Those I travelled with had been there before, and spent the week asking me what I thought of it. They had fallen in love with the city as soon as they stepped off the plane, and were still head over heels. It took me a little longer. A combination of me being hard to impress (as usual), jetlag, and being a homesick Londoner, meant that I was pretty underwhelmed. On our second day there, we went to the Empire State Building, which was great – as tall buildings go. I got more out of walking the High Line, riding the circle line boat and visiting Bryant Park than I got out of the buildings, but really I was a bit…numb. That changed on Wednesday afternoon. We were four days into the trip and the big event we’d gone out there for had just finished (and gone really well). 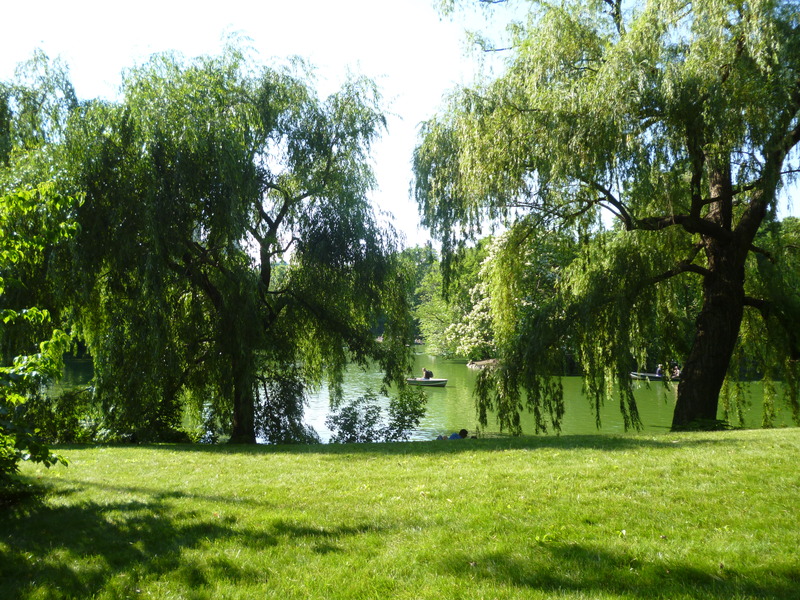 That afternoon, we took a taxi down to Central Park, ate at the Boat House, and walked through the park after lunch. That’s when it happened. Those few hours completely changed my perspective on the city. Central Park is just amazing. It’s huge and stunning. We only saw a fraction of the lakes, meadows, trees, rock formations and winding pathways that make up the park. We went nowhere near the zoo, bird sanctuary or museum. You couldn’t hear the city at all. After Central Park, every New York experience became better. Okay, so it probably had a bit to do with the jetlag lifting and the stress of the event being over, but I think it was something else as well. Central Park made me realise how much I love being around nature. Oh, don’t get me wrong, I’m a city girl, but I need to be around parks and rivers – and to see trees – to really be happy (and creative). I went to New York thinking that the city that I’d seen portrayed so often in fiction would be a tremendous inspiration. That the people and the streets would be seeping with atmosphere – and they were – but my inspiration came from the areas protected from the city. It’s a great lesson to take home with me, and a reminder that I need to get out there and explore this country some more.